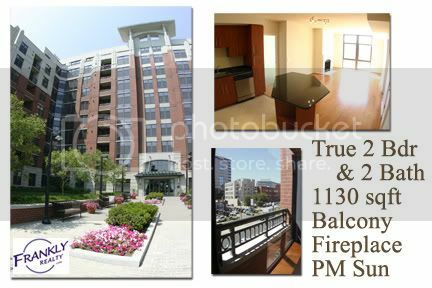 I'm a Realtor, and I live in Clarendon 1021 a condo in Arlington Virginia. I put up this page to give those searching for information that you can't find on the MLS. Feel free top post specific questions. While allowing for some bias, Clarendon 1021 is the single envy of all of Arlington. 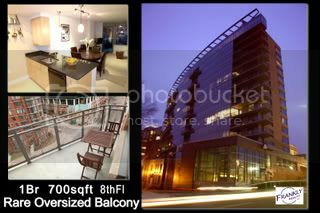 (even by The Odyssey since the Odyssey people will be cabbing it in from the Courthouse location to hang out in Clarendon) Clarendon 1021 is one of only 4 condos in the Clarendon area as of 5/08 (Station Square, Clarendon 1021, The Phoenix Condos, and the smaller Hartford . There were going to be a couple others, but they converted to apartments (Le Joule and Zoso). The rooftop pool and hot tub is amazing in my opinion. 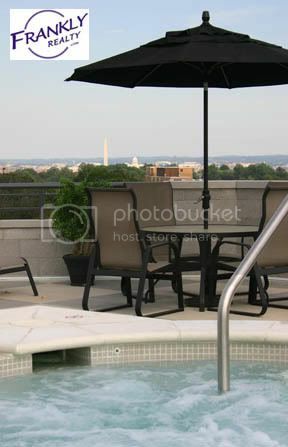 Rooftop pools are VERY rare in Arlington, with maybe 10% of the condos being able to boast this. Ours also has an amazing Monument and Capitol view (click to see). However, you should know that the pool is a shallow 3.5 feet and is more for wading then doing laps. Pool hours are posted and currently not 24 hours. 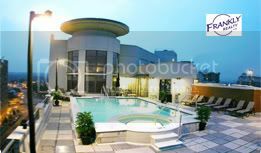 Pool parties (photo) on the roof are also a blast and a makes this building the envy of Arlington. We have a great online message board for residents to talk about issues and get those issues immediately addressed. That board is private until you become an owner. Location, Location, Location. I have friends that used to rent in Clarendon, but bought in Ballston and Courthouse. While they might have saved $30-$50k, they still hoof it to Clarendon for 80% of their nightlife. And guess what happens (regardless of the market going up or down) when you go and sell your place, it will STILL be worth $30k-$50k more then the same unit elsewhere. It was initially built as an apartment complex and then was sold off to a developer as condos. What that means is every unit's interior is nearly identical (a few floors have lighter cabinets). It isn't soundproof. Buildings that are initial apartments won't be as quite since it costs more to soundproof. I'm talking about floor to floor foot traffic. About 6 months ago there was a flooding problem that was pretty severe. I was told it was the worst rainfall in 50 years or something. The roof was since re-designed to drain the water faster. Management was quick to repair the common areas effected to prevent any molding. Experts and the county came out to verify that everything was done properly. Several buildings had this problem after this flood. Units with Balconies will get anywhere from 20-$35k more than a same floor, same size unit with no balcony. There are 4 directions your unit can face. Units facing the courtyard will be $10k-$20k higher than if you face the higher trafficked Washington Street or North Garfield Street. Morning sun or afternoon sun. Courtyard units get sun in the morning. Some B level units have walk out access to a patio and courtyard. Easy access for dog owners too. B level units have been slower to sell. Floorplan differences. The efficiencies start at 600sq ft. 1 BDR start at 700sq feet and go up to 850 with 1 BDR and dens at 900. With the 2 bdrs you have some with 1 and some with 2 full baths. Watch out for "1 bdrs and Dens" that are listed as 2 Bdrs. Watch out for units near the entrance. Some were built after the building was completed. Watch out for $100k overpriced units. This is NOT a "you get what you pay for" place. You can EASILY overpay if you don;'t know the ins and outs of the building. Recently one 2bdr was $100,000 overpriced. There is a long history of price fluctuations in this building. It skyrocketed upon the initial opening with some making $100,000 profits. Now some are trying to make that same $100k, while others are selling for a $30k loss (this is because of the market, not the building). Let me know if you have any questions about Clarendon 1021 and I hope you will share your comments and observations. I have heard rumors of problems with the building. Nah, every building has problems. We just tend to be more high tech and the message gets out faster. The board is very competent and things do get done. I heard that building has some very attractive people! They must have seen me! Thank you very much for the information you provided, it is very useful. Given that you are so resourceful, I wonder if could help me to find the listing of rentals in Clarendon 1021. I don't really do rentals, but I would suggest that you go over to Craigslist and search for "1021"
Good luck, see you soon neighbor! It is a nice building and if everyone waits a year or two prices there will have come down even more than they have sunk in the past year! Any association rules against upgrades to a unit? Hardwood flooring and the like? Thx. Sure there are always going to be rules about tearing down walls and such, you just have to ask first. As for Hardwoods, they all have hardwoods, but you can put different hardwoods. If you want HW in the bedrooms, you will have to make sure you have 80% covered with area rugs. this building has a terrible rep. loud, disrespectful renters. more so than other buildings. most purchasers are under water. poor, apartment style construction. Everyone is entitled to their own opinion, and I won't edit your comments out, but you are nuts. I disagree that we have a rep that isn't the best in all of Arlington. As for purchasers being under water, that is probably true. Most sellers are selling for less than they paid for it, or hoping to break even. But that is due to the Arlington Condo market and has nothing to do with the building itself. When do you think the condo market in Arlington bottom out? I'd love to try to predict, but you can read my other blog on my main site blog.FranklyRealty.com where I talk about how Realtors can't predict the market, just like stock brokers can't pick stocks. Also don't go around asking Realtors that, many will tell you NOW is the bottom. And lastly, regardless of the bottom, it doesn't really matter. I don't believe in market timing. I believe in buying and holding for a long enough period of time, that the EXACT bottom doesn't matter. By trying pick the bottom, you are gambling. is it common to hear your upstairs neighbors (e.g., footsteps)? is clarendon 1021 steel construction or wood frame? If you can't walk from Courthouse to Clarendon, you are pretty lazy (cab?). Walking from Barton Place to Clarendon Grill was never a problem. Even VA. Square is only a little over 1/2 mile from the Clarendon metro. Is this building sold out, or is it still selling new? You mentioned you can add hardwoods to the bedrooms but 80% has to be covered by area rugs. -How would anyone verify this? Further, what are your thoughts on what a 1BR patio unit (with garage space) should go for currently at 1021? Also, are you an original resident at 1021? If so, how much have you seen your condo fee increase in the past 2-2 1/2 years? Yes, I am the original owner. What happens with many new constructions is the builder underestimates the condo-fees to make the building seem more appealing, and they don't create a reserve fund. 10% hike, but that was mainly to fill up a $400k reserve for future maintenance. The following year we actually dropped our expenditures, but the fees went up about 2% (to fill the reserve). As for adding hardwoods to the bedrooms? I guess you could, but I don't know anybody that has. As for verifying the 80%, the unit below you would know pretty quickly and management would have to be informed that you were doing the install. Email me about your specific pricing question. Thanks for writing the blog and answering our questions. They are very helpful. Do you know any unit at Clarendon 1021 has lower their ceiling to fix the foot step noise from the unit above? I heard this is the only way to fix the floor/ceiling impact noise. I'm just wondering if this fix is allowed at Clerendon 1021. I haven't ever heard of anybody lowering ceilings here or any other place. The noise does travel, sometimes through many floors. Once somebody was hammering on the 1st floor and I swore it was above me. Took me 20 minutes to find out they were on the second floor. It would be hard to test out one building versus another to see which makes less noise. Also if you buy the top floor, that will reduce noise by 80% would be my guess. Hey Frank- I was just wondering what the condo fees included? Also, if you have a 2 bedroom is stands to reason that 2 people will be living there, how is the parking situation? What if we have 2 cars? NEWSFLASH! 1021's HOTTUB is now functional and 24/7 in the winter. I'm so excited about this. Anonymous, the spots were initially purchased for $40,000, but you can get some now for as low as $15,000. Some spots are tiny and on the lowest of 3 floors, and some are full sized near the exit. Other options include street parking and a monthly rental in the building or across the street. As for condo fees they do NOT include gas or electric, and recently water was no longer included. 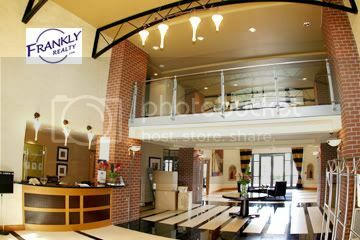 So what is included is the amenities such as the pool and 24 hour person at the front desk. One of the 2 bedrooms has now dropped $70,000. They are finally getting somewhat realistic. That unit has 2 spots, but I would probably try to buy it with 1 spot. I can explain directly with you exactly why. 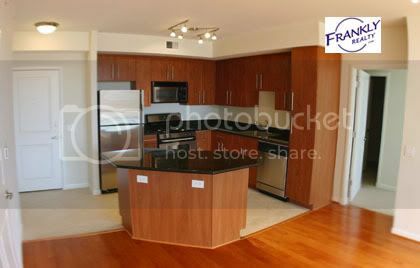 I just posted a review about The Phoenix Condo in Clarendon. If you have information to add, please do. Thanks for running the blog. This is very insightful and helpful regarding the building. I'm looking at a unit in 1021 and noticed it had a loud HVAC placed in the living area. I heard this is an issue with many units in the building which hasn't been resolved. Do you have any thoughts? Yes this has been partially resolved. You have to buy a separate box that runs about $200-$400 that will drop the noise by 50%. I have it in my unit. But you will have to contact me directly (we legally are not allowed to post that stuff online). Don't miss the blog post on Short Sales (Fake Listings) at http://blog.FranklyRealty.com! If I were to buy a condo in a relatively new building should I get a home inspection or pass on it? Did you just post on Trulia the same question? It would be VERY risky not to. Some experts even say to get one annually. Thanks. Did not post on Trulia. Hearing mixed reviews as to whether to do one for informational purposes or make offer contingent on home inspect. Anyone have input? I don't believe in "informational purposes"
If I get one of those as a listing agent, I say "do your informational purposes inspection AFTER you buy the house." They are basically a lie. Are you telling me that you wouldn't back out of the deal if you found out that it was falling off a cliff? Give me a break. It is like having your fingers crossed. Get the freaking inspection, this is a house we are talking about. The seller will expect it in this market. Make him feel better and knock it out in 2 or 3 days. Or you can put a clause saying "We will not ask for the first $1,000 of issues if any are found." That is more realistic than the informational purposes version. This way is more truthfully saying "We will not nickel and dime you, but if your place is a unexpected mess, we can get out of the contract." i have heard the parking garage in the building is awful to get around. supposedly the garage is filled with speed bumps and the residents choose to park outside (if they can ever find parking) instead of using their very expensive parking spots? There is a lively debate going on regarding the pros and cons of speedbumps. I have not heard of one "other" person that parks of the street to avoid speedbumps. The "other" is me. If there is a prime spot immediately out front, with no meter (based on the time of day) yeah sure, I park there. Not because of speedbumps, but because it is the closest spot and I might only need it for a few hours. I am in the "anti-speedbumps" camp, for what it is worth. If you buy at 1021, make sure you note where the parking spot is when comparing two units. Also watch out for units that bought 2 spots up front. They paid $40,000 for their second spot and won't be able to get anywhere near that value now. Frank, I am looking to rent a condo, do you have any suggestions on where I should look, or how i should go about doing this? Search on Craigslist for 1021 to find rentals. For those that follow this thread, a Short Sale just closed in 1021 (see my blog on SS where only 5% close). It closed for $110k under the previous purchased price. Now there are 1 or 2 other short sales in there now and banks look for 80% of appraised value, so with that new COMP, you might be able to get 85% of that amount. Funny thing happened the other day. I was showing a unit in the Odyssey to a client that found me through this blog post. We also had just seen 1021. I stopped a resident in the elevator to ask what they thought of the Odyssey. I also asked if he considered 1021. Wow did he haven an opinion. He tore 1021 a new one. Oh well, I disclosed my biases. I guess it is good to see both sides. Hi Frank, what's the pet policy at 1021? Are there limits on number, size, type of pet? Thanks. You would have to email me directly for me to hunt down the exact pet policy, but I do know that you can't have 2 dogs, and there is a size limitation. Also a BANK OWNED UNIT just hit. Email me for details. These come up about every 3 months. Very interesting and informative blog. The market will be down now but it will always come back and I think many of those places will go back up in perceived value since the area seems so nice. Granted I'm not from the area so take my opinion with a large grain of salt, however, I think this building is(or was) WAY over-priced for what you're getting and where it's located. The initial selling prices are almost Manhattan sized prices for condo-conversions. And as stated and evidenced, apartments are generally thrown together with less finesse than their born-condo counterparts. The issue with the floor/wall noise is a big one IMO and between that and parties on the roof it becomes a very expensive dormitory or frat-house...which may have been the intended marketing angle but even as a young professional if I'm paying that much money I want silence when I want silence. I would be curious to see how this building fares against others once the market picks back up. I have yet to read about the Phoenix though so maybe my opinion will change. 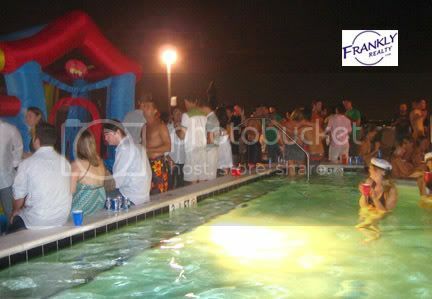 I just added a new post about Clarendon 1021 Rooftop parties. Just added a video of our recent 1021 rooftop party. Bank properties are hitting more frequently now, let me know. Hey Frank - HJ here. I just closed on unit #905 which was a short sale. Very easy process in my opinion. Any word on additional parking spaces that are avaialable? Hey HJ, Yeah email me directly. Congrats on closing a short sale. Thanks for doing this...very informative. Can you tell me if 1021 has been approved for VA loans? Hey there, can you email me directly? I would have to ask the front desk. I know they were considering it, but I don't know where they left it. I also know of 2 bank units coming soon in 1021. For those of you subscribed, I have new info today on a bank unit, email me for details. And keep subscribed to comments here if you want periodic (ever few months) notices of unusual unloadings. Does Clarendon 1021 have a bulletin board? I need a second parking spot and wanted to see if anyone had one available for rent. Thanks. sure does, email me directly. Do you know of anyone in 1021 who is renting their studio or one-bedroom for six months, or is their a bulletin that lists rentals? Just craigslist rentals. The building requires a minimum 12 month lease. Frank: Can you add Station Square to the mix and run a comparison to 1021 and other local complexes, pros and cons? I do know one person that rented in 1021 waiting for his unit to be ready in SS. Once he moved, he was disappointed. That building is also very scattered. There are multiple entrances and I don't think they have 24 security, but I could be wrong. Their parking is shared with public pay parking. 1021 Parking is exclusively for the building. Their pool is on the ground level, so all the 9 floors above can look down, and noise travels, so it isn't as good for parties vs a rooftop pool. They were completed a year later, but purchased a year or two earlier. The purchased prices are much lower, so I have yet to see one foreclosed unit there. Therefore they haven't had the downward pressure on unit. Unit sizes are up to 10% smaller for a 2/2. All in all more expensive. Pros: 1/2 block closer to metro. Hope that helps. Let me know if you want to visit some of them. By the way, 1021 has a 1 bdr and a 2 bdr bank unit coming soon for $100k under other units. But you have to act fast on those. Great site. Thanks for doing this. I'm renting on the B level. Great unit, but over the past six months a number of cracks have emereged in the walls and ceilings (in the sheetrock). I assume the building is settling, or perhaps it's vibrations from the garage below. Has anyone seen similar cracks on higher floors? I've discussed the possibility of repairs with my landlord, but I'm wondering if the problem is likely to subside or continue. I'm not inclined to ask him to make the repairs until the building has finished settling, if that is in fact the problem. Nope, haven't heard of any settling. You should talk to the front office, it might be covered by the associations insurance. what do the condo fees run for the 2br 2 ba places? I have 2 other blog posts on Phoenix that you should look at. WIth the Phoenix, you can't get a bank or short sale unit that is price 10-20% below market. Also if the builder still has units, they might keep dropping them. Also "much closer" um, I think it might be 10 feet closer tops. Also no DC view from the pool, and not hottub too. What are the pros and cons of bank owned units. Normally the cons for a bank owned unit is the lack of upkeep. THey tend to be more worn down. But this is usually only a problem with homes over 10 years. If a condo was built in 2005, how bad can it really be. So for the most part, there is next to no downside, yet you get it for significantly less. The next question is inventory. If you want a 1 bedroom and den, but there are no bank units available, but there are 2 regular units, what do you do? If you need one fast, then you have no choice, but I have my clients wait. yes I tell my clients NOT to buy. We then wait for the perfect unit and jump on it within hours. We just beat out 11 other offers on a bank unit last week. Having an agent that lives in the building and knows what is coming before it comes... priceless. What would you say is the age of the majority of the occupants? Are there many 50+? Hi Frank, is there a high move-in fee for 1021? If so, do people actually pay this? Thanks! Are units near the pool noisy when there is a pool party? Thanks. Yes the units near the pool are noisy during the pool parties. But they do a great job to make sure the door is closed. Also the party ends sharply at 12 midnight. Email me directly and I can tell you why. I've noticed that the 1021 N Garfield St # 506 studio has been on the market for $274,500 for roughly six months. The listing never includes more than the exterior photo of the building. What in the world is wrong with the unit?